For 35 days, the US government was partially shut down and services in our national parks were reduced. While you may be bummed that your favorite park was closed temporarily or vandalized, you should know that there are ways to help. Visiting national parks as the National Park Service reopens them, being respectful of flora and fauna, packing out your trash and leaving everything as you found it can go a long way. Your entrance fee supports maintenance and upgrades to water and sewer systems, roads, and bridges. There are 60 national parks: how do you choose and what can you expect? Journy’s newest show Rock the Park (which won a Daytime Emmy for Outstanding Travel Program!) offers ideas and inspiration for your travel itinerary. Over two seasons, lifelong best friends and hiker enthusiasts Jack Steward and Colton Smith visit as many of America’s national parks as possible. These parks are protected areas known for their grandeur, natural beauty, unique geological features, and unusual ecosystems by the National Park Service. Vast lands you don’t see everyday seem more fun and less tricky with Jack, Colton, and sometimes their GoPro navigating the way. 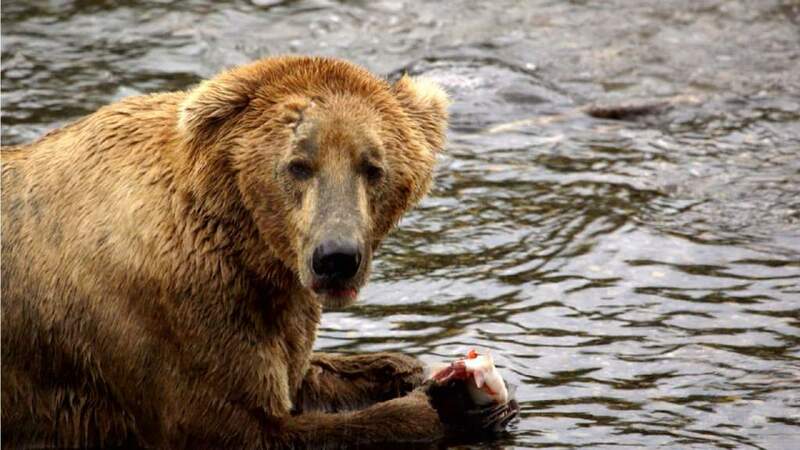 We recommend starting with the first episode to see this Katmai bear scarf down raw salmon. Hosts Jack and Colton get up close and personal with the massive brown bears of Katmai National Park. They watch bears fish for salmon and dig for clams along the Pacific Coast and camp out in the back country surrounded by bears. 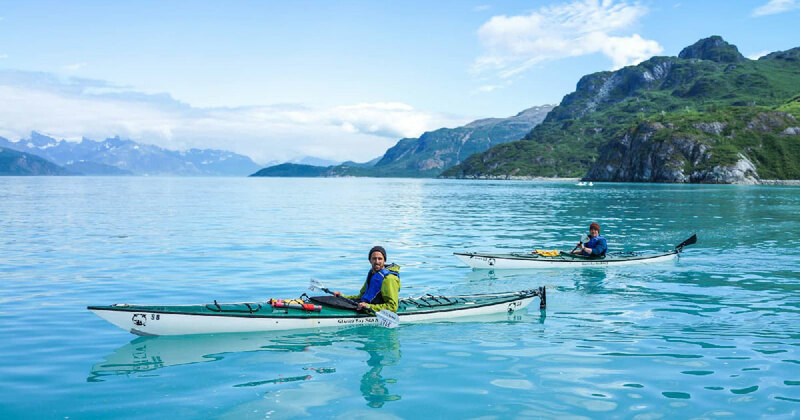 Jack and Colton kayak with whales and sea otters, witness glaciers crashing into the sea, and trek to a mammoth glacier. Jack and Colton head to Death Valley National Park in search of one of the scarcest resources in the park… water. It’s a rocky ride for Colton and Jack as they explore the Chasm of Doom and climb The Eye of the Cyclops. Jack and Colton take on the largest volcano on Earth, battling altitude sickness and the threat of severe weather along the way. Jack and Colton are in the largest urban national park in the U.S., experiencing a canyon-to-coast adventure with mountain biking and whale watching. Then they hit the waves for their first surfing experience ever! Jack and Colton trek through the land of giants in Sequoia National Park: they take on a 150-foot climb straight up a sheer granite rock wall. Colton and Jack are in for some ups and down while visiting Yosemite National Park in California. They also learn about the park’s efforts to reduce trash going to landfills. Hosts Jack and Colton explore the iconic sea caves carved into the cliffs of Lake Superior with both kayaks and scuba gear below the surface. Plus, they check out a 100-year-old shipwreck sunk by Superior’s wrath. Lava caves and cinder buttes are giving Jack and Colton a park experience like no other as they explore the strangest 75 square miles in North America. Jack and Colton saddle up and check out the land of hoodoos, then go back-country camping: ultra-light with no tent. It’s just them and the creatures of the canyon floor. Jack and Colton prepare for a possible encounter with grizzly bears. The guys have a run-in with a bear and a showdown with bighorn sheep as they hit the trails, including the epic Going-to-the-Sun Road of Glacier National Park. Jungle Jack Hanna joins the guys on a story-filled hike through bear country. The guys get a good look at a grizzly and take on some of the roughest whitewater rapids they’ve ever experienced. Going off the beaten path takes on new meaning for Jack and Colton, as they’re pushed to the limit and forced to overcome fears in a quest to make the climb of their lives. Jack and Colton learn about the supervolcano that lies deep beneath the park and check out the hot spots it creates. Then they track the park’s elusive wolves and other awesome wildlife. They experience the power of the Yellowstone River at its own Grand Canyon, towering waterfalls, and white water rapids. It is destination fire and ice as Jack and Colton head to Yellowstone for a winter adventure in the Rockies. Jack and Colton trek miles through an icy cold river, then hold on for their dear lives while climbing one of Zion’s scariest trails. Colton and Jack head to Maine’s Rocky Coast for a taste of Acadia National Park. Spotting seals and dolphins to Bald Eagles and Peregrine Falcons… it’s an unforgettable wildlife adventure down east! Dry Tortugas National Park has Colton and Jack taking their exploration into the sea, diving deep to check one of the largest coral reefs in the world and the marine life that call it home, from stingrays, to goliath grouper and even nurse sharks. Colton and Jack hit the beach for a raucous wind surfing race. Then it’s hush-hush in the hatching room where the guys see endangered Kemp’s Ridley sea turtles emerged fromtheir shells before making their own mad dash to the ocean. Jack and Colton take on Old Rag, one of the most dangerous trails in Shenandoah National Park, then belay each other 110-feet straight up a rock cliff. Volunteer to help clean up parks. Sign up with the National Parks Conservation Association and you will be contacted with upcoming opportunities. Donate to the National Park Foundation. Become a corporate partner of the National Park Foundation. Sport National Park Foundation gear.